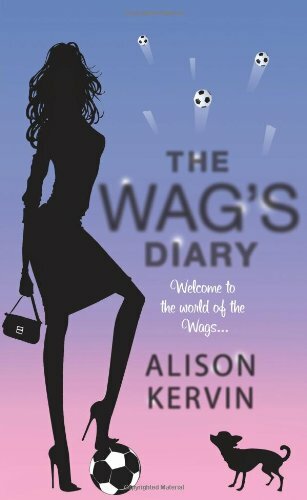 by Alison Kervin | Journals | This book has not been rated. Tracie Martin is Luton Town's longest serving WAG. For 12 years, team captain husband Dean has kept her in acrylic nails, UGG boots and Juicy Couture. But with the start of the football season looming, there's a new breed os WAGS at LTFC who aren't quite playing the rules. Standards are slipping and Wagdom is in crisis! To add insult to injury, Tracie's daughter Paskia-Rose is more interested in te offside rule than shopping. What is a WAG to do? Tracie decides to end this improper conduct by writing the ultimate guide to life for wannabe WAGS. Overnight, she finds herself propelled into the limelight, achieving the A-list status she has craved for so long. From Old Trafford to Baden-Baden, she's the talk of the town. But will fame and fortune bring Tracie more than she bargains for. Doing some Spring cleaning and I think it's time to let go of huge amount of books that have been in my bookshelf for years. Books, that I have picked up many times but yet put them back. Books, that have moved houses quite many times. Books, that represent a genre I've grown out of past years.